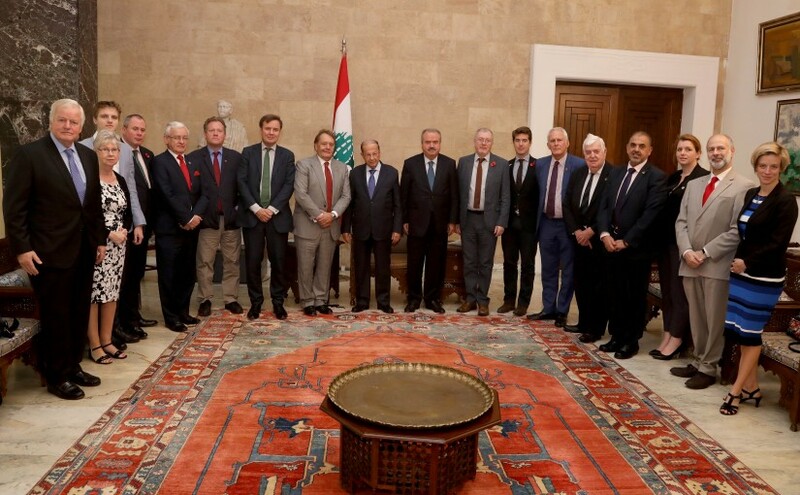 President Michel Aoun meets MP John Hayes (United Kingdom) with a delegation. Previous Previous post: President Michel Aoun meets MP George Attalah. Next Next post: President Michel Aoun granted Mrs. Nadine Mouhaseb a merit award in recognition of her contributions to the service of the military establishment.